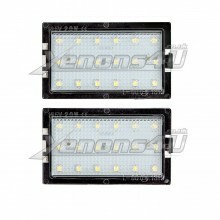 Wide selection of LED Number plate lights for Land Rover cars. Upgrade damaged or conventional stock halogen number plate units for super bright LED units. Land Rover LED number plate lights are road legal and MOT friendly.